Designed by Katy Goutefangea of Ola Studio, this exclusive Silver Cat on dark grey gift card celebrates the heritage of Heal’s feline mascot. 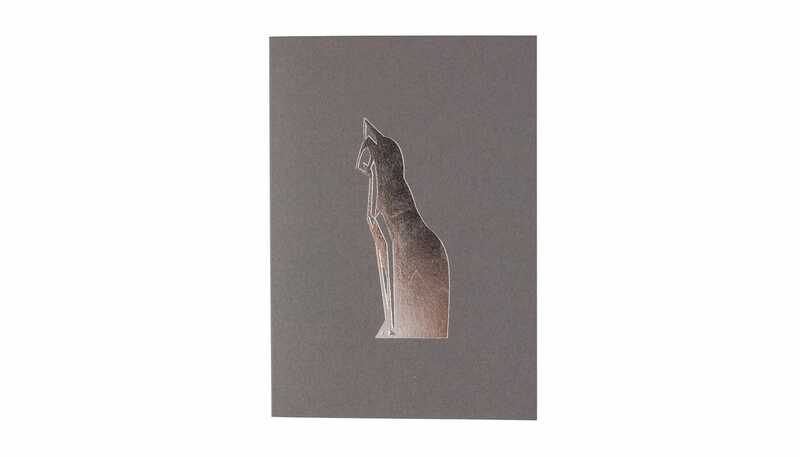 The Heal’s cat has been a feature of Heal’s Tottenham Court Road for over a century with this card taking the iconic silhouette and foil printing onto a gift card. Also available in copper foil on stone gift card.